Kamilah Desert Goals have 25 new levels for you to complete. You can now complete up to 50 levels. There are 12 new item prizes, lots of MP and £3 Account Upgrade Credits to be won. Can you find these new Goals themed Hidden Avatars? A new Weekly Battle Contest has just started. This week's opponent is Terrorantula. You will need to have a Terrorantula Trading Card in your Battle Deck. The challenge is to win as many battles against this opponent this week. The top 3 players at the end of the challenge will receive a Boo Trading Card, 200,000MP and a Gold Trophy, the next 6 players will receive 150,000MP and a Silver Trophy and the next 9 players will receive 100,000MP and a Bronze Trophy. The Capsule Machine has been refilled with new items. The Elfember Capsule Machine items have now been retired. A new Account Upgrades Promotion has started. The Autumn Brownie, Sweat Jacket and Bed Head Wig prizes have been replaced with a Bangs Hair Extension, Chips and Salsa and Motorcycle Jacket. All players will receive these 3 new items and 30% extra credit for FREE with their next purchase of Account Upgrades Credit. The Kidlet and Limax can now wear the Slime Costume and the Equilor can wear the Bootleg Costume. The Lottery has been drawn for this week. Spectrometre is the winner of the 837,700MP Jackpot with the winning numbers of 2, 17, 18, 25, 32 and 34. Congratulations! Last Week's Raffle has now ended. nicholeds is the winner of the Red DNA and 100,000MP prize with the winning raffle ticket number 260732. Congratulations! Make sure you buy your tickets for today's raffle - only 10MP per ticket! The Game of the Week has changed to Candy Cannon and this week's Olympics Event is Weight Lifting. All pets wearing a Nimbus Costume will receive Double Training stats this week at the Gym and Elite Gym. Vote Now for next week. All pets wearing a Teal Costume will receive Double Education stats this week at the School and University. Vote Now for next week. A new feature has been added to Lowlyhood. The Musical Fairy rewards you for the number of Musical Instruments that your pet has used. Each grade of instrument will count towards this count. There are currently prizes for up to a Musical Instruments count of 675. The Musical Fairy has been added to the Rewards page and Lowlyhood map. Can you find the 'Musical Fairy' and 'Tune' Hidden Avatars? A new Weekly Quest Contest has just started. This week's quest game is Personal Trainer. The challenge is to complete as many of these Quests this week. The top 3 players at the end of the challenge will receive a Midnight Costume, 200,000MP and a Gold Trophy, the next 6 players will receive 150,000MP and a Silver Trophy and the next 9 players will receive 100,000MP and a Bronze Trophy. The Limax, Tantua, Tasi, Vixen, Vlad and Yakubi can now wear the Sparkle Costume. Now all 77 pets can wear this costume! The March 2018 Monthly Checklist winners have been announced and the prizes have been rewarded. Congratulations to all of those who have won. Don't forget, this is a monthly permanent feature that you can enter for FREE. If you haven't already, it's time to start entering the April event! The Lottery has been drawn for this week. Azaura is the winner of the 800,200MP Jackpot with the winning numbers of 3, 17, 22, 23, 30 and 35. Congratulations! Last Week's Raffle has now ended. manachan is the winner of the Red DNA and 100,000MP prize with the winning raffle ticket number 253650. Congratulations! Make sure you buy your tickets for today's raffle - only 10MP per ticket! The Game of the Week has changed to Bounchy and this week's Olympics Event is Hurdles. All pets wearing a Maroon Costume will receive Double Training stats this week at the Gym and Elite Gym. Vote Now for next week. All pets wearing a Black Costume will receive Double Education stats this week at the School and University. Vote Now for next week. For all players that celebrate, we would like to wish you all a Hoppy Easter. The Easter Bunny will hop in and out of Marada until April 8th - but you have until May 31st to enter and complete the Easter Egg Hunt! We hope you all enjoyed the 2018 Easter events! The 2018 Easter Egg Hunt in Candyland has just started. There are 40 new gourmet Easter Eggs hidden around the site and you have to follow the clues to find them. When you find an Easter Egg, it will be added to your Easter Basket in Candyland. Only when you find all 40 eggs can you collect them - you will receive two of each Easter Egg this year! Also, if you miss the clue, it will now be shown at your Easter Basket. Every level has a prize - you will win 2 item prizes, MP or Account Upgrade Credit with each clue! The Easter Egg Hunt will finish May 31st and all Easter Eggs and Prizes will retire. Make sure you complete it and claim your Easter Eggs before this date. A new Weekly Quest Contest has just started. This week's quest game is Travis Truck. The challenge is to complete as many of these Quests this week. The top 3 players at the end of the challenge will receive a Skater Costume, 200,000MP and a Gold Trophy, the next 6 players will receive 150,000MP and a Silver Trophy and the next 9 players will receive 100,000MP and a Bronze Trophy. A new Weekly Battle Contest has just started. This week's opponent is Snap. You will need to have a Snap Trading Card in your Battle Deck. The challenge is to win as many battles against this opponent this week. The top 3 players at the end of the challenge will receive a Runty Trading Card, 200,000MP and a Gold Trophy, the next 6 players will receive 150,000MP and a Silver Trophy and the next 9 players will receive 100,000MP and a Bronze Trophy. The Easter Bunny is back in Marada! Decorate your profile and dress up your character for the celebrations, in pinks and golds and purples. The Easter Bunny will be visiting profiles and you may get rewarded for those who impress her. The Easter Bunny is not like Beelzebub, she is shy and easily scared away! Be nice and she will be running contests, games and giveaways on the Forums - 10 lucky winners will receive a retired Splatter Costume while others will win retired Easter Eggs and other great items! Naughty players will scare her away or receive only Carrots. The Troit, Ushunda, Viotto, Xoi, Yuni, Zetlian, Zoink and Zola can now wear the Sparkle Costume. The Lottery has been drawn for this week. elve is the winner of the 910,800MP Jackpot with the winning numbers of 3, 8, 15, 19, 41 and 46. Congratulations! Last Week's Raffle has now ended. Snowferret72 is the winner of the Red DNA and 100,000MP prize with the winning raffle ticket number 244425. Congratulations! Make sure you buy your tickets for today's raffle - only 10MP per ticket! The Game of the Week has changed to Phanty Quest and this week's Olympics Event is Running. 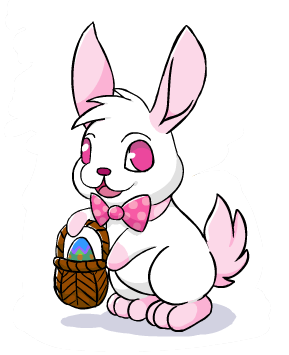 All pets wearing a Easter Costume will receive Double Training stats this week at the Gym and Elite Gym. Vote Now for next week. All pets wearing a Australian Costume will receive Double Education stats this week at the School and University. Vote Now for next week. A new Leopard Account Upgrade has been released, with 7 new Leopard themed items. As a special limited time, you will receive 2 or 3 random pieces of the retired Enchanted Plushie Instructions. There is a 1 in 3 chance you will receive 3 pieces instead of 2 pieces. This AU will retire May 5th. There are 24 pets that can now wear the Leopard Costume. Can you find the 'Leopard' Hidden Avatar? A new Weekly Quest Contest has just started. This week's quest game is Eleka Prison. The challenge is to complete as many of these Quests this week. The top 3 players at the end of the challenge will receive a Dark Fairy Costume, 200,000MP and a Gold Trophy, the next 6 players will receive 150,000MP and a Silver Trophy and the next 9 players will receive 100,000MP and a Bronze Trophy. For a limited time only, the retired Aries Treasure Chest is back on sale at the Account Upgrades Shop. It will all automatically retire April 7th. A brand new Maroon Costume is now restocking in the Costume shop. 32 out of 77 pets can now wear this new costume with more on the way! This costume is actually Rarity 1 and will restock a lot more often than other costumes. A new Weekly Battle Contest has just started. This week's opponent is Slime Boy. You will need to have a Slime Boy Trading Card in your Battle Deck. The challenge is to win as many battles against this opponent this week. The top 3 players at the end of the challenge will receive a Inflate Trading Card, 200,000MP and a Gold Trophy, the next 6 players will receive 150,000MP and a Silver Trophy and the next 9 players will receive 100,000MP and a Bronze Trophy.